MTS format is a high-definition MPEG, AVC, H.264 transport stream video file format which commonly used by HD camcorders such as Sony, Canon, Panasonic. MTS files are used primarily with Sony hardware. Camcorders make use of MTS in the form of AVCHD, a recording format made specifically for camcorders. Some camcorder models from Canon also use MTS files. These files are also present on Blu-ray disc compilations, therefore they are capable of storing quite a large amount of information and data tracks. MTS is not the compatible format for editing systems on Mac like Final Cut Pro X. FCP X, the latest version of Final Cut Studio, was released in 2009 by Apple software. 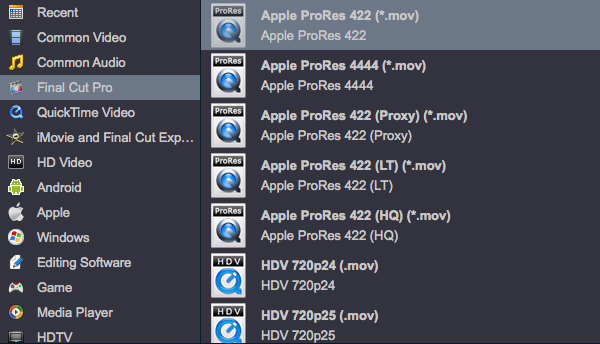 The favorable format for FCP X is Apple ProRes. You got the right place! Aovsoft HD Converter for Mac is a best assistant of AVCHD MTS camcorders from Panasonic, Sony, Canon, JVC, Samsung, Hitachi, etc, with efficient processing system to convert, edit and merge MTS files to Final Cut Pro X for Editing. Here are 4 steps, really easy to show you how to convert and merge AVCHD MTS videos to ProRes 422 HQ at 29.97 frame rate. Let’s take a look! 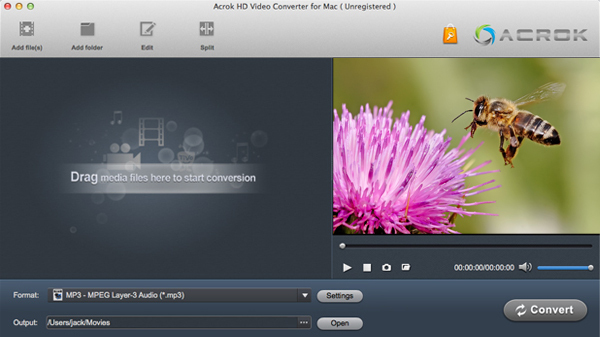 Step 1: Load original AVCHD MTS videos to this top Aovsoft HD Video Converter for Mac. You can put all MTS files in one folder and load them into Aovsoft HD Video MTS to FCP X Converter for Mac by clicking “Add file”. Click the “Format” option, and choose “Final Cut Pro > Apple ProRes 422(HQ) (*.mov)” for converting AVCHD MTS videos to MOV with Apple ProRes codec (Frame Rate:29.97) for Final Cut Pro X. The output video will be kept as high definition 1920*1080. Check all the files and then click “Merge”, and Aovsoft HD Video Converter for Mac will join and combine the MTS video clips into a single file as output. Click the convert button, the Aovsoft HD Video Converter for Mac starts convert and merge AVCHD MTS to ProRes 422 HQ MOV for editing in Final Cut Pro X. You can also put merged AVCHD MTS files in iMovie, Avid, Adobe Premiere, FCE, etc for editing on Mac.